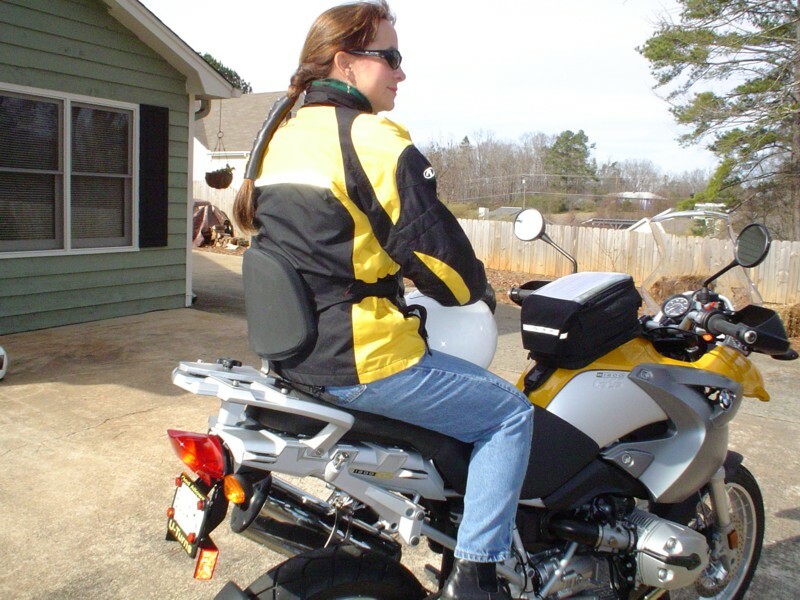 Behold... the R1200GS Stealth Backrest®. 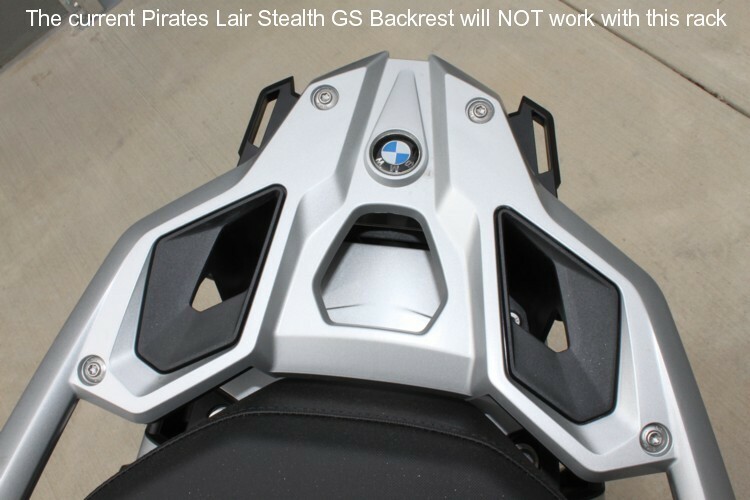 After a full year of research, development, and real-world testing the GS Stealth backrest has turned out to be, as expected, a thing of beauty, simplicity, and comfort and.. a worthy addition to the Pirates' Lair line of specialty BMW products. The lightweight stainless steel stealth bracket with it's patented design bolts directly to the rear factory rack via furnished stainless steel hardware and blends perfectly with the lines of the bike. The production versions are covered with a slightly textured silver powder coating that closely matches the color of the factory rack. The backrest's polished stainless steel slide bar slides on and off the bike in under 20 seconds and.. without tools. 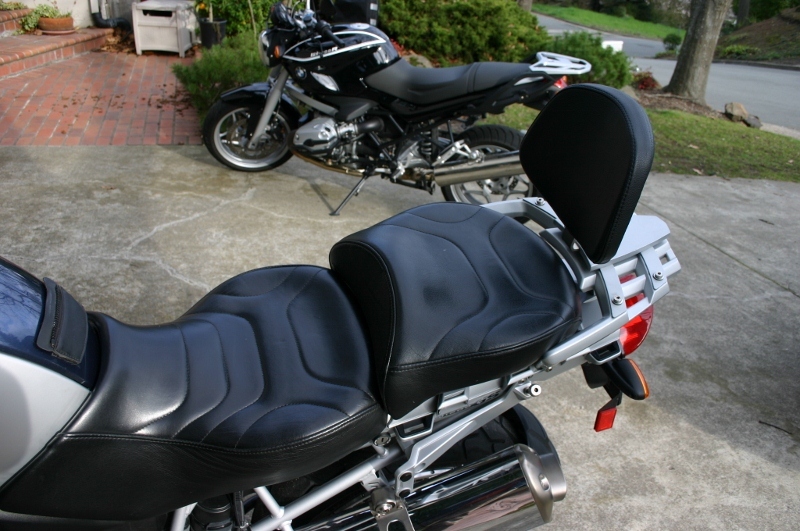 Our first class upholstery is done by world renowned custom seat and backrest maker...Sargent Cycle Products. 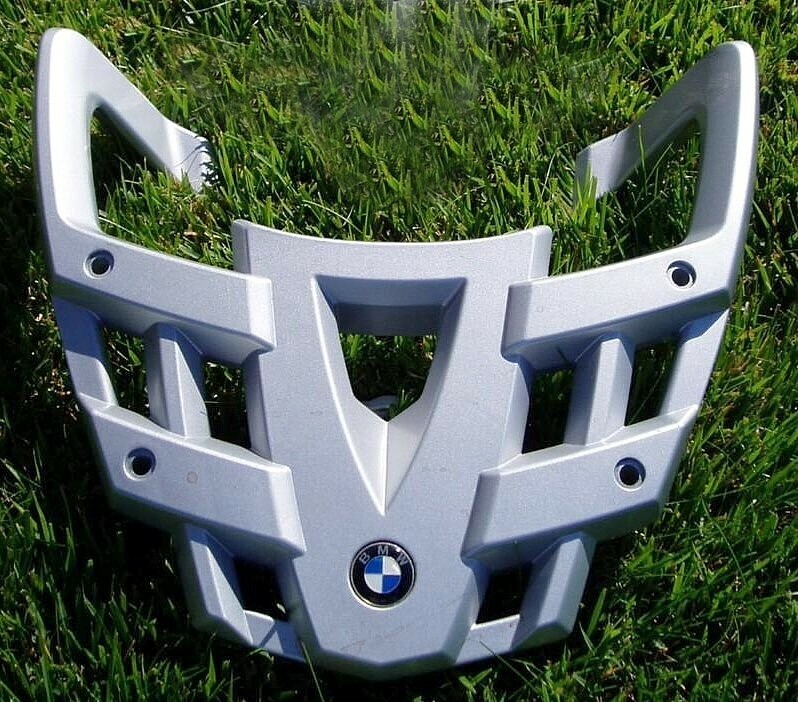 They have furnished imported materials that is a dead-on exact match for the factory seat covers. 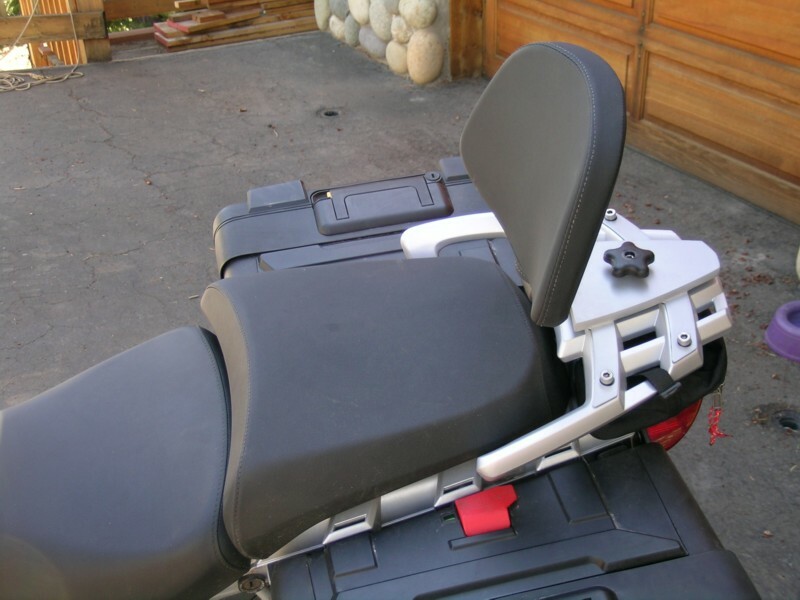 Our GS Stealth backrest offers 2 easily adjustable positions.... full back and 1" forward (recommended for children ONLY.) Easy 4 minute install. No modifications necessary. 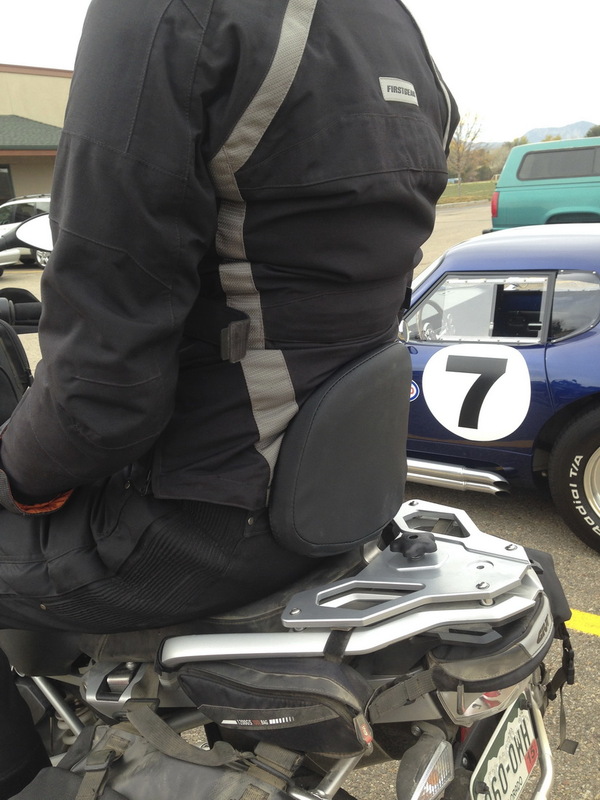 When you do NOT want the backrest on your bike, it slides off in under 15 seconds. Worried about protecting the finish of your factory rack from our metal bracket. We got that covered, too. We furnish (4) 3M vinyl peel-n-stick strips to protect your factory rack from any scratches while the Stealth bracket is in place. See.. we thought of everything!! In case you are curious.. No...there will NOT be a gray cover. 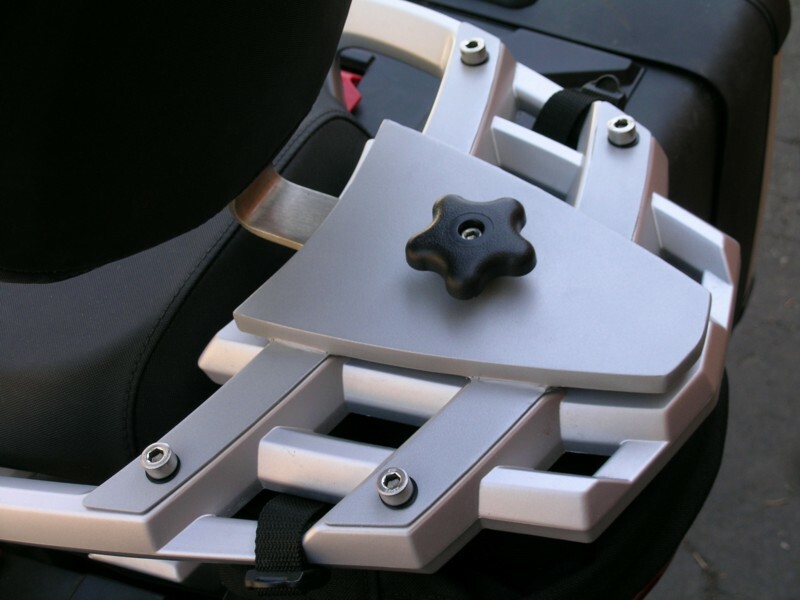 Every GS Stealth Backrest® comes standard with a quick release knob for "tool-less" backrest removal as well as a standard hex screw if you choose a more permanent mounting method. The furnished polypropylene knob with stainless steel stud will stand up to any weather condition.. salt, UV, rain, cold, heat, hail, etc..With the hex screw... you'll need an Allen wrench (not included) and a minute or two to lock it into place or to remove it. Give your passenger the support and comfort they deserve/demand when they need it and say good-bye to those pesky fingernail imprints in your ribs. As soon as they get off... remove the backrest and ride without looking like a sherpa with all kinds of ugly visible bracketry cluttering up the world's most beautiful dual purpose bike. 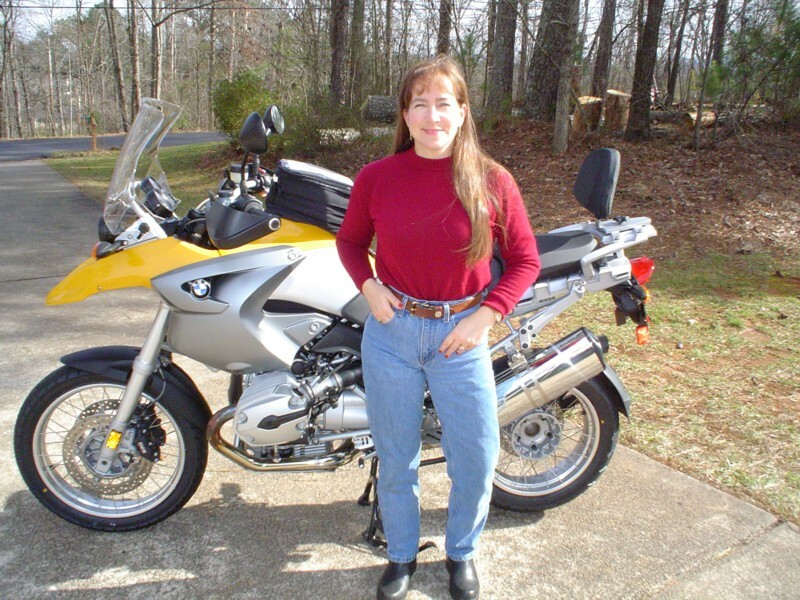 Full Review of the R1200GS Stealth Backrest / May 2010 Issue of Rider Magazine! Pirates' Lair also offers optional semi-soft luggage for all our Stealth backrests from CDL Enterprises.. makers of T-Bags. A small around town Roll bag and a larger Universal Helmet bag. When your passenger isn't on board, flip the bag around and have it sitting in the seat behind you for better weight distribution. Attention Gravitationally Challenged: Due to design restraints, we were limited in how much fore and aft room we could provide with our GS stealth. All our prototype tester's passengers were either normal weight or slim women. All said that they had PLENTY of room and were perfectly comfy. However.. it is our opinion that an overweight passenger or man might find the accommodations... lacking. Therefore, we suggest you seriously evaluate this aspect (and your passenger's) before purchasing. 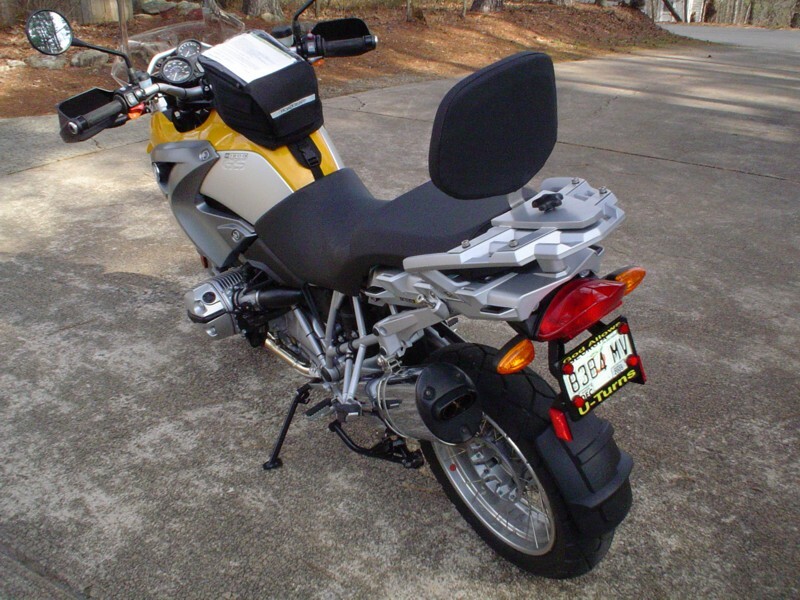 2004-2012 R1200GS Stealth Backrest Complete 425.US (USPS Priority Included) Discontinued 10/17! SOLD OUT! 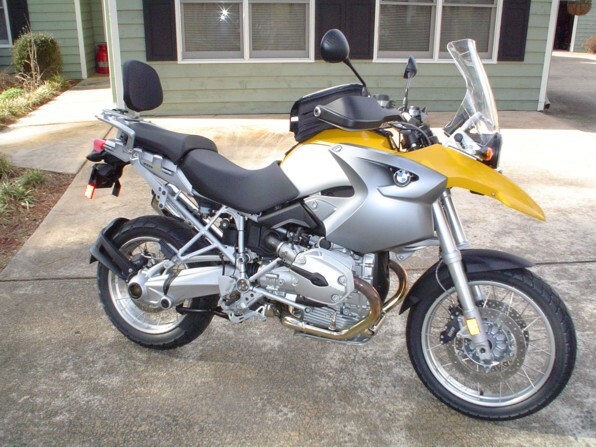 2004-2012 R1200GS Stealth Flawed Backest Kit.. 410.US (USPS Priority Included) Discontinued 10/17! SOLD OUT!